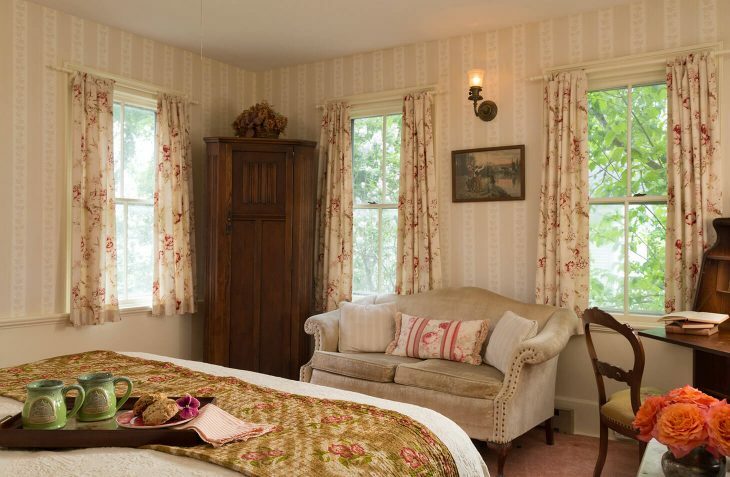 This is a comfortable corner room at our award winning Penobscot Bay bed and breakfast overlooks the English style perennial gardens. 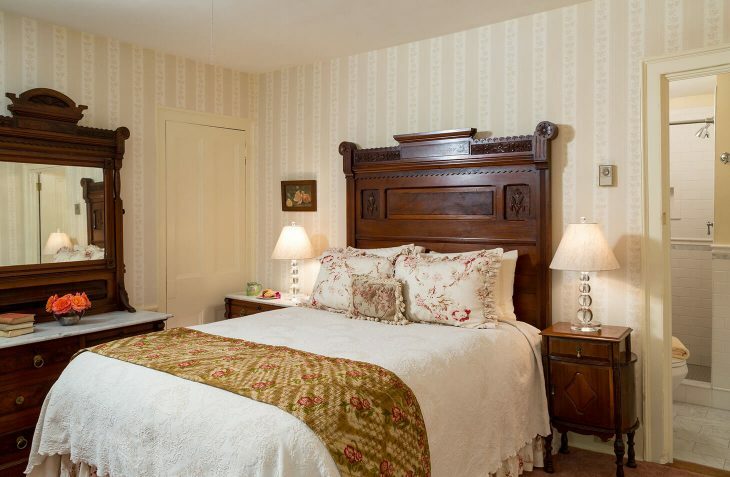 It offers a queen size bed with Victorian headboard and matching dresser. 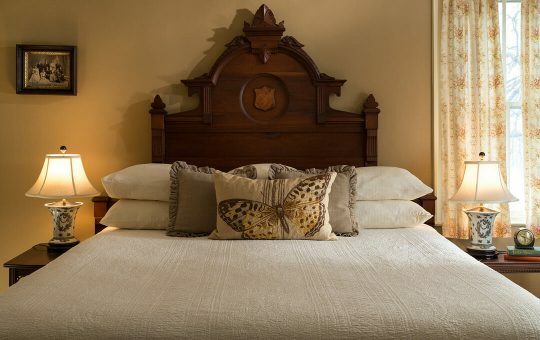 Vintage inspired fabrics are used for the bed coverings and curtains, which are custom made for each room. 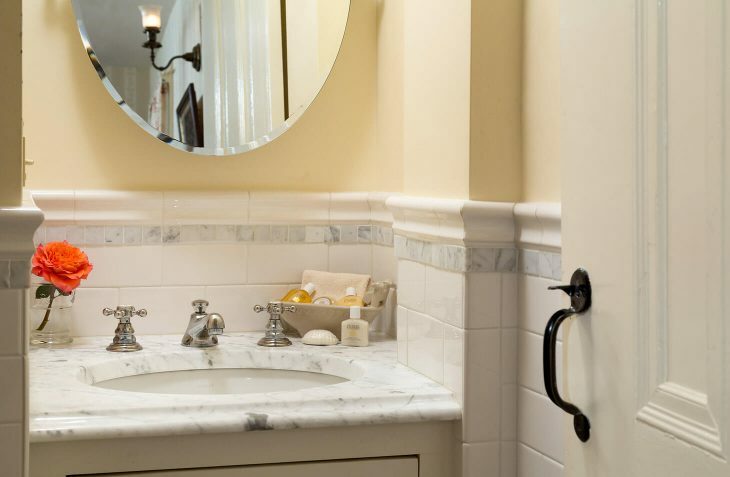 The small, beautifully appointed private bathroom has been recently renovated with tile and marble, and offers a walk-in shower and marble top vanity.